Concrete provides an excellent choice for curbing across your yard's decorative areas. Concrete's pour process allows us to mold it into any shape to fit your needs. Concrete can also resist common sources of damage, such as eroding soil and lawn mowers, to provide a nice-looking border for years. If you would like to explore the advantages of concrete curbing in Waco and Temple, TX, give us a call at 254-716-8685. Much like a city curb, a concrete border is constructed by preparing the space, pouring the concrete, and hand molding it to the desired look. Our experts will evaluate your space and offer planning and material options that can revive your yard. We will perform all preparation work including clearing, trenching and rhubarb laying. Our experts will then use specialized curbing equipment that follows the path of the rhubarb to mix, pour, and form the concrete into the trenched area. Our team will go to work immediately hand forming your border to the exact look and texture you want. 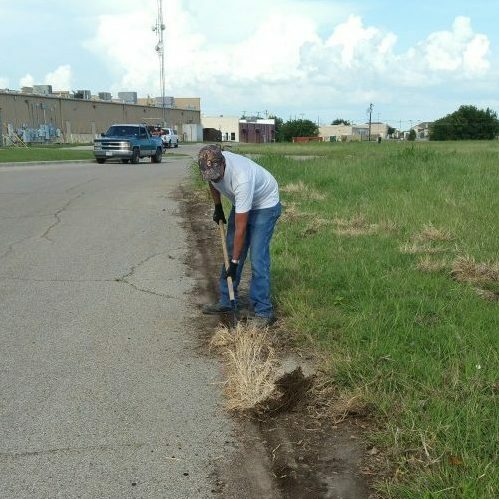 Call us today when you need concrete curbing and bordering in Waco and Temple, TX. When homeowners think of yard renovation, the last thing that comes to mind is a large commercial-like curb in their yard. With our experienced, trained professionals, your concrete can be made to look like tile, stone, or your own patterned style. Our team of concrete specialists can apply concrete stamping, decorative trim, or even color to enhance the beauty and look of your concrete border. With the multiple shapes, designs, stamps, and colors available for your concrete border, your finished product can be completely personalized and unique to your home. Our experienced professionals can help you decide which form, color, and texture would benefit your look most, and complete the job in as little as a day in most cases. When you are looking for a long-lasting way to brighten the look and feel of your yard, call our experts at 254-716-8685 to find out more about concrete curbing and bordering in Waco and Temple, TX. Updated on March 21, 2019 at 11:20 am by eSquared Asphalt Maintenance.